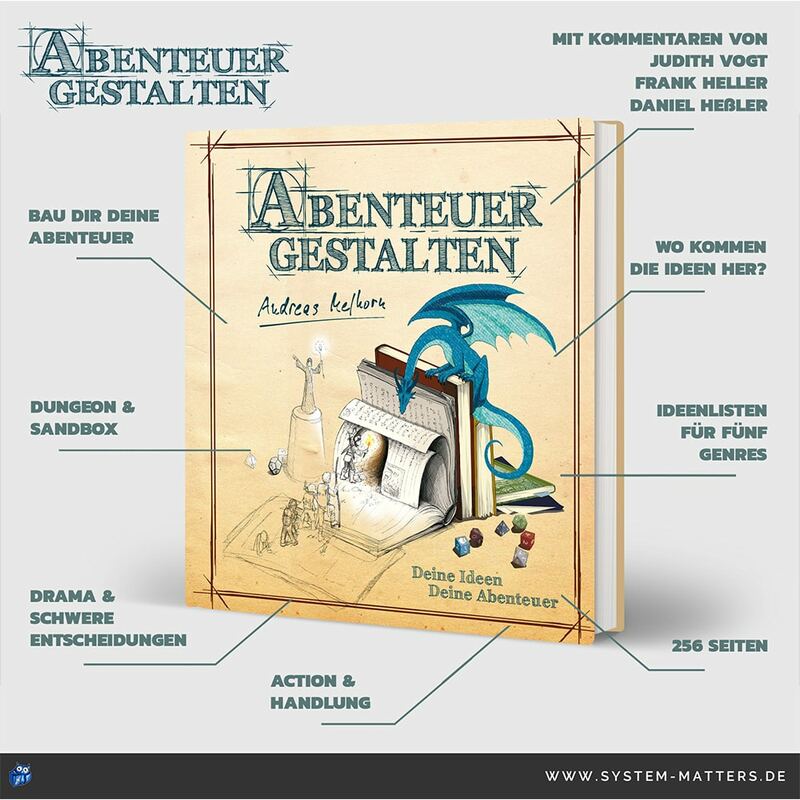 I present to you the new Crowdfunding Collection #76, including every tabletop project started between 05.21 and 06.10. After a small summer break I am back and present a total of 62 projects. Among the english projects I am intruiged by the games I put into the „Story Game RPG“ category. I am most fascinated by The Mountain Witch, despite its apparent PvP aspect – something I usually don’t fancy. Though the Blackwind Project is quite interesting as well, as are Triumvene, Gather (a GM-less game) and Helheim. The new edition of Black Hack is the Fantasy RPG I am most interested in. The package sounds intriguing and quite something. Harvesters on the other hand does feature small animal creatures in a fantasy setting, which looks quite cute and charming. Though Quest as well as Dragonscales look solid as well. Among the „normal“ RPGs I consider Starship Infernum and Secret Agents of CROSS worth a look. Though, as with the previous collection, my current budget is quite tight, thus no backing this time around. You’ll find quite a plenty of other projects, supplements, adventures, dice and other projects. Even three cool looking notebook projects. Well, and I do like well done notebooks. If you are interested in foreign language projects. There is the Changeling 20º Aniversario by Nosolorol, which does offer quite a cool looking version. Among the French projects I find Sneffels – for the name alone – and Tecumah Gulch – which might produce a Far West edition before GMS worth having a look. The Italian game Caos will apparently be as well available in English. 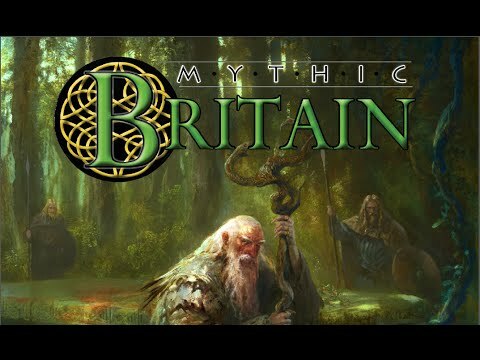 In regards of the German crowdfundings, there is the translation of Mythic Britain on the one hand, on the other hand you’ll find Havena – Versunkene Geheimnisse a sourcebook for The Dark Eye, which comes with a cover Havena – Uh nana which I happen to quite like. Es gibt eine frische Crowdfunding Kurzübersicht #76 (Zeitraum: 21.05 bis 20.06). Nach einer kleinen Sommerpause ist die Übersicht mit ganzen 62 Projekten zurück. Unter den deutschen Finanzierungen findet sich zunächst Mythic Britain, ein Projekt der Runequest Gesellschaft für das Rollenspiel Mythras. In dem Band wird das mythische England für das Rollenspiel aufbereitet. Mit der Havena – Versunkene Geheimnisse finanziert Ulisses den namensgebenden Band für DSA5. Passend zu dem Projekt, wurde sogar ein Lied: Havena – Uh nana eingesungen. Unter den fremdsprachigen Rollenspielen sticht für mich als WoD Fan die Changeling 20º Aniversario Finanzierung von Nosolorol heraus. Wobei ich durchaus das französische Sneffels und Tecumah Gulch spannend finde. Hinsichtlich der englischsprachigen bin ich durchaus von den Rollenspielen in der Story Game Kategorie fasziniert. Insbesondere gefällt mir hierbei The Mountain Witch, obwohl ich normalerweise PvP nicht mag. Allerdings finde ich auch das Blackwind Project interessant. Ebenso wie Triumvene, Gather und Helheim. Von den Fantasy Rollenspielen bin ich an der neuen Edition des Black Hack interessiert. Welche scheinbar doch etwas mehr Material zu dem Spiel bietet, und es ansprechender gestaltet. Harvesters fasziniert mich wiederum wegen der Idee Kleintiere auf Fantasy Abenteuern zu spielen und Quest wie Dragonscales sehen auch durchaus spannend auf. Auch die „normalen“ Rollenspiele bieten mit Starship Infernum und Secret Agents of CROSS interessante Einträge. I present to you the new Crowdfunding Collection #73, including every tabletop project started between 03.25 and 04.08. In regards of the foreign language projects, you might notice that I added quite a lot Portugese projects to the list, because I found the Catarse platform. I am most fascinated by Áureos, a game about Capoeira fighters. I do like the Spanish 1800: El Ocaso de la Humanidad project as well as the Swedish Neotech Edge. The latter might even get an English translation in the long run. As for the German games, I do gladly support the translation of Dread by System Matters. I am as well intruiged to play a gamebook by, traditional, mail as Schwarzkalten suggests. Though the core and bulk of this collection, as usual, are still the English games. I am most intruiged and did back Familiars of Terra. On the one hand because it features quite a lot of cute pets, on the other hand I am intruiged by the system which took notes from PbtA and Blades in the Dark. In regards of Story games you might like to check out The King is Dead, all about the succession of a kingdom, by Vincent and Meguey Baker. Well, or take a look at Wingless. A Powered by the Apocalypse game about angels. Uprising shouldn’t go without a mention either. It is a game featuring the Fate system whose setting forms from social deduction games The Resistance, Coup, and One Night Revolution. Well, and as we are already in the dark future, maybe take a look at Battlecruiser Alamo RPG. The newest game in the era gameline. Next to those classical tabletop rpgs I am quite fascinated by the Graphic Novel Adventures gamebook or lets say comicbook. I do like the concept and the realization and artstyle looks cool, I am on the verge of backing. Fans of Torg should take a look at the Torg: Eternity supplement, while those who are into Exalted 3rd Edition might take interest in the Dragon-Blooded project by Onyx Path.